Everything's working perfectly, including slow-motion video. 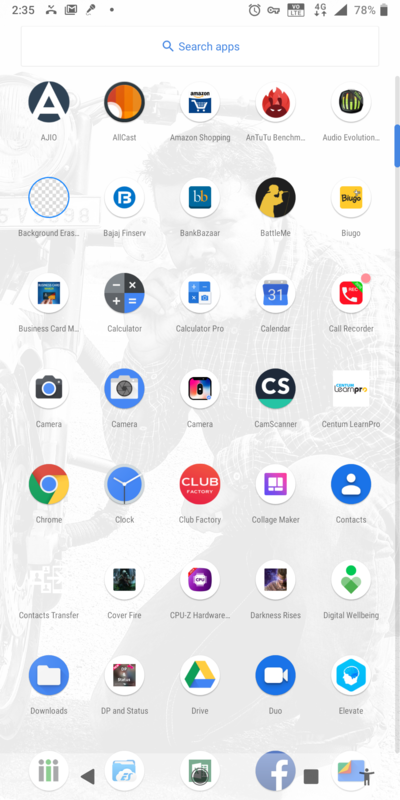 The app does crash a lot still on my Nokia 7.1. Night mode works though. Also I had disabled location permission, motion photos. Really nice of you to share this. This will certainly help other users. I hope it does, mine happens to be working perfectly, tested on TA-1097. Waiting for feedback from other people. Well after using that download and not enabling location permission it does not crash for me either. That's great! And one more thing the links belong to two different ports, one with photo booth and other one without it, I tested the one without the photo booth that's linked with Google drive. Thanks for the link. Earlier night mode was not working in google camera but in this link night mode is working fine and I am using Nokia 6.1 plus. Thanks for the link. This app working well without issues so far in my T-1085 (US) version of the 7.1. Am wondering if those having issues have versions with less main memory. Which one you have tried, the first link or the drive link? I think the drive link one is the ideal one. People can face issues with the one in the first link. Bro did you upgrade to android pie? If yes any issues you are facing? I am still on 8.1, because of people facing issues or not but will report that they are facing issues. App crashes when slow motion is opened. I disabled both motion and location. But still it is still crashing. I installed the Google drive link one . using in my 7plus. with super fine slo mo. Check if your Google photos app is up to date, and which device you got? Do you have any other Gcam port installed on your device, if yes then uninstall that first and try reinstalling again. My slow motion is crashing 😭. These are all tested ...have fun ...If slo mo is crashing just disable it. The Drive link. But now I have updated to GCam_Pixel3Mod_1.3_build.6.1.021.apk on the XDA forum and it seems to work well, too. I don't own a 7.1 I tested on my friends phone and it worked well so settled with it. And I tried this port as well but on my 6.1. slow-mo worked so didn't try the other ones and also on my 6.1 slow-mo doesn't work with any port.